This is our starter kit to start brewing. Everything you need to put down your first batch, except ingredients and bottles! Includes a FREE ticket to a beginners brew training session, which we normally run every 1st Saturday of the month. Learn everything we wished we knew when we first started making beer. It also contains the “Robber's Gold” from the new “Brewery Box” series. 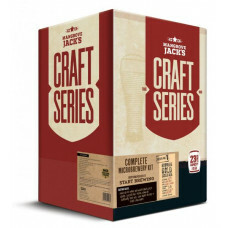 This kit contains 3 kg of malt, hops for dry hopping and the British Ale Yeast to make the perfect craft brew. 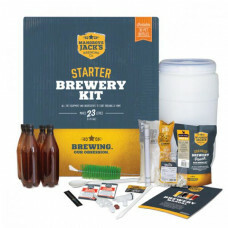 This home microbrewery offers a significant step up from traditional homebrew starter kits that are based on plastic fermenters. 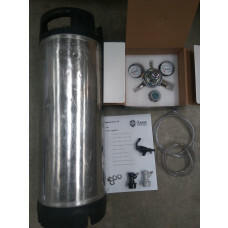 This plus the superior ingredients included in the kit, makes it the best homebrew kit on the market. 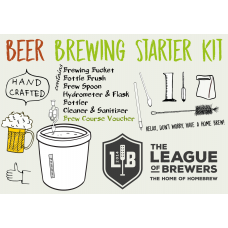 Perfect for those new to homebrewing. Guarantees your first brew will impress!